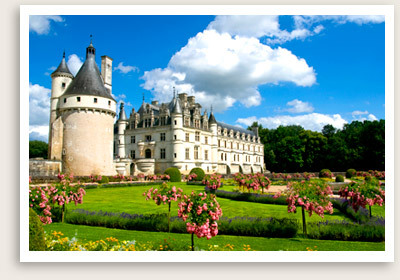 Join Well Arranged Travel’s luxury tour to Paris and Loire Valley. 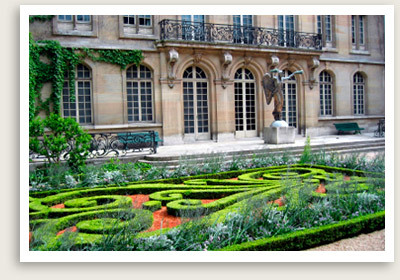 This women’s tour stays are a luxury boutique hotel in the heart of Paris located in the triangle – Champs Elysees, Avenue Montaigne and Georges V. Our women’s tour to Paris and Loire Valley also stays at a beautiful castle, now a luxury hotel with a fantastic resident chef at their restaurant, where we will have exquisite dinners. In Paris, we have plenty of free time, without scheduled tours, so we can explore as we please and include things we discover along the way. There are endless things to see and do in Paris. 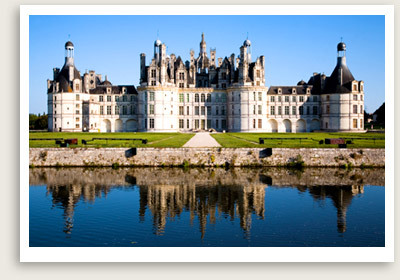 In the Loire Valley, we plan to see the countryside and the best chateaus that dot the region. We will a beautiful garden and visit a wine producer to sample their wine and have lunch. A fabulous experience is guaranteed. Join us. NOTE: It is likely that there will be a change in the itinerary to take advantage of Paris’ many exhibitions during the summer. For example, our June 2014 women’s tour to Paris added a visit to Arts Decoratifs museum for the Dries Van Noten fashion exhibit, followed by a trip to the designer’s boutique nearby for some shopping. Our driver will be waiting for you at the airport outside the customs area. Check in at our hotel, located in an upscale neighborhood filled with fabulous restaurants, lively outdoor cafes and artisan shops, markets and boutiques. If you arrive early, you may join us for lunch or lunch on your own at any of the cafes by the hotel. 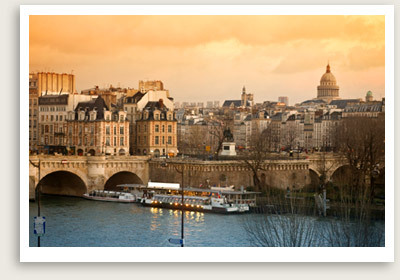 We’ll walk to the most famous boulevard in Paris, the Champs Elysees, where you will see the famous Arc de Triomphe. We’ll go by Avenue Montaigne, where some of the top designer houses in the world are located, including Dior, Chanel, Prada, and Louis Vuitton. We’ll stop for lunch at one of Paris’s top patisseries. A light lunch is fitting, as you will surely end this meal with a fabulous dessert. After lunch, we’ll stroll Champs Elysees where you will see the Arch de Triomf, one of the most famous monuments in Paris. Today our local expert guide will take us on a gourmet tour of Paris. We will visit a farmer’s market and other specialty shops, where we’ll sample cheeses, breads, chocolates, foie gras, wine and pastries. We’ll see and hear about historical sites and monuments along the way. Our driving tour will take us to many of Paris’ main monuments, famous boulevards and squares like Place de la Concord, Place Vendome, Place de la Madeleine, including Paris’ natural islands Ile de la Cite and Ile St. Louis, whose former residents include the artists Daumier, Daubigny, Cézanne; business woman, Helena Rubinstein and former Prime Minister Georges Pompidou. We’ll see other numerous landmarks and historic buildings along the way like Orsay, Conciergerie, Les Invalides, Ponte Neuf, Ile de la Cite’s Notre Dame and the Pantheon. Today we’ll explore Paris on foot, one of the joys of visiting this wonderful pedestrian-friendly city. 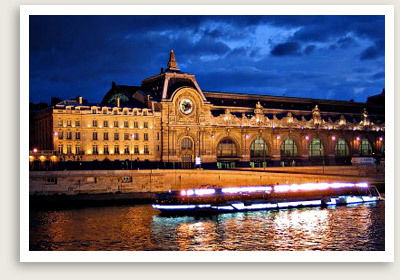 From the hotel, we’ll make our way to Musée D’Orsay, located on the left bank of the Seine. The newly renovated and re-arranged Musee D’Orsay is even more beautiful than ever and a must in our tour. NOTE: Let us know if you have not been to the Lo uvre museum and would like a tour there instead. Originally a railway station, the Orsay showcases the best painting, sculpture, photography, graphic arts and architecture of the Western world from 1848 to 1914. Through such works as “Woman Dozing on a Bed,” “Child Making a Sand Castle,” and “Ploughing in Nevers,” visitors can get a glimpse of the everyday life in the epoch through the eyes of its top artists. It’s a perfect home to some of the greatest collection of early modern and Impressionist art; Renoir, Toulouse-Lautrec, Van Gogh, Gauguin, Degas, Matisse, Sisley, Monet, Vuillard, Cezanne are some of the artists represented in the permanent collection. We continue our women’s tour to Paris and Loire Valley exploring the countryside. Today we also begin our regional food and wine adventures in the Loi re. A luxury chateau with an accomplished chef is our chosen home for the next 3 day. Our first stop on the way is Chateau de Chambord, the decadent 440-room palace of François I, featuring a double-spiral staircase designed by Leonardo da Vinci. You’ll tour Chambord’s suite of François I, the Chapel, the apartments of Louis XIV, and terraces with a magnificent panorama over the vast estate, large as Paris itself. Next we visit the Château de Chenonceau, an elegant castle built on the Cher River with its beautiful Renaissance gardens located in the small village of Chenonceaux. The castle is also known as “Chateau des Dames” for the various female figures who resided here, from Diane de Poitiers and Catherine de Medici. Group lunch is planned. We return to Tours late afternoon. We continue our women’s tour of the beautiful Loire Valley today, beginning with the short drive to the Chateau of Villandry. The last French castle built during the Renaissance period, today it is world-renown for its unique terraced gardens. Our guide will take us though this 15-acre organic garden, boasting more than a thousand linden trees and a number of theme gardens, to include the Love Garden, Kitchen Garden, Aromatic and Medicine Plant Garden, Water Garden and Sun Garden. 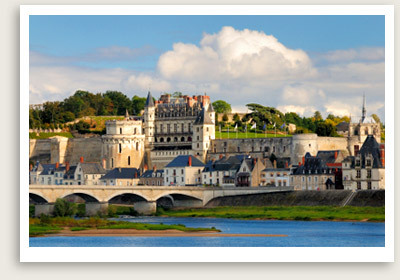 Our next stop is Chinon, where we will explore historical streets, walking in the steps of Joan of Arc and Richard the Lionheart. The main attraction here is Château de Chinon, a medieval castle that has served as the residence of many kings of France and England. You will have free time for some self-exploration and perhaps a visit to Chinon castle before continuing on to lunch at a family estate in the vineyards. We will sample local cheeses, charcuterie and Bourgueil wines, especially the renown local Cabernet Franc. The final touring day of our women’s tours to Paris and Loire Valley starts in Amboise, visiting Le Clos Lucé, a brick-and-stone-faced castle that is best known as the former reside nce of Leonardo da Vinci, where the Renaissance painter spent the last years of his life. We will visit Royal Château d’Amboise and its landscape gardens, gorgeous royal apartments and the castle’s Saint Hubert chapel, which shelters Leonardo da Vinci’s tomb. The two castles are connected by underground passageway.